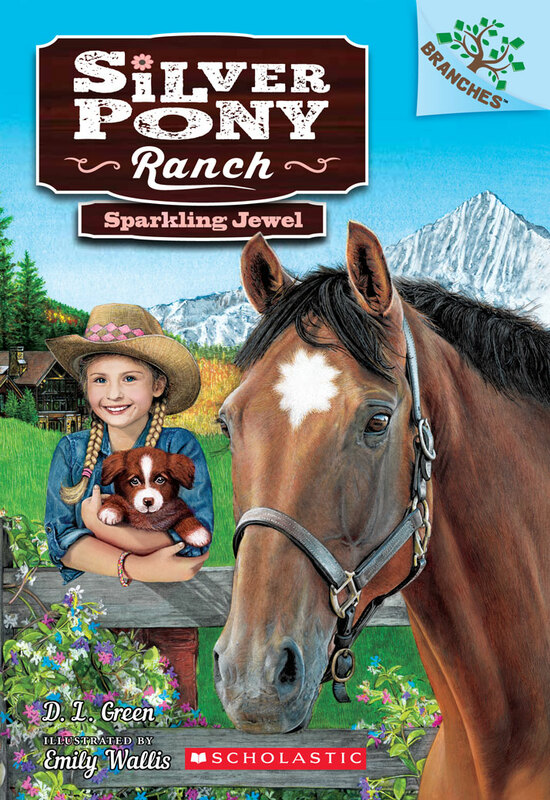 Silver Pony Ranch Book #1 (Sparkling Jewel) – now available to buy! Sparkling Jewel is now available to buy! 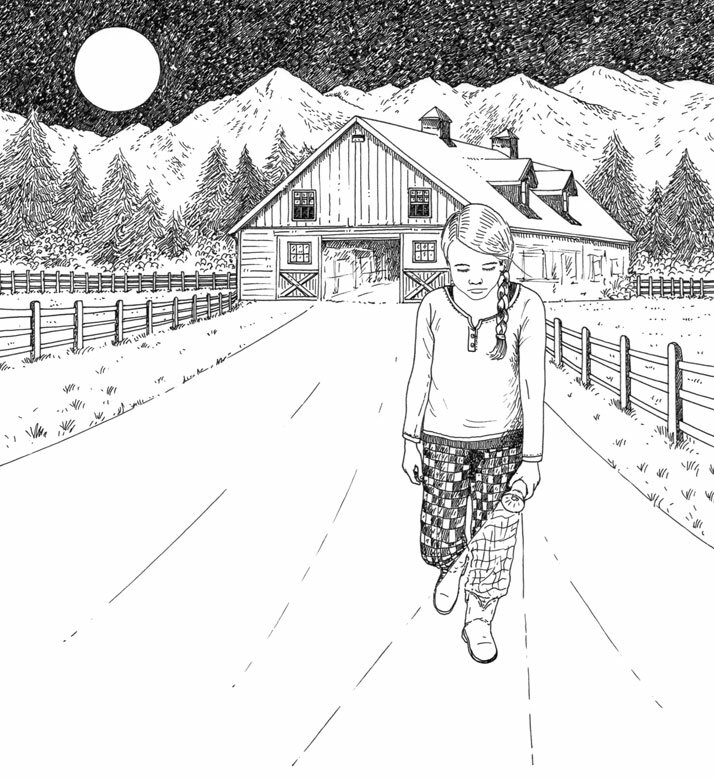 It is the first book in the Silver Pony Ranch series, written by D. L. Green, illustrated by Emily Wallis and published by Scholastic, New York (September 2015). Available as hardback, paperback and Kindle edition. 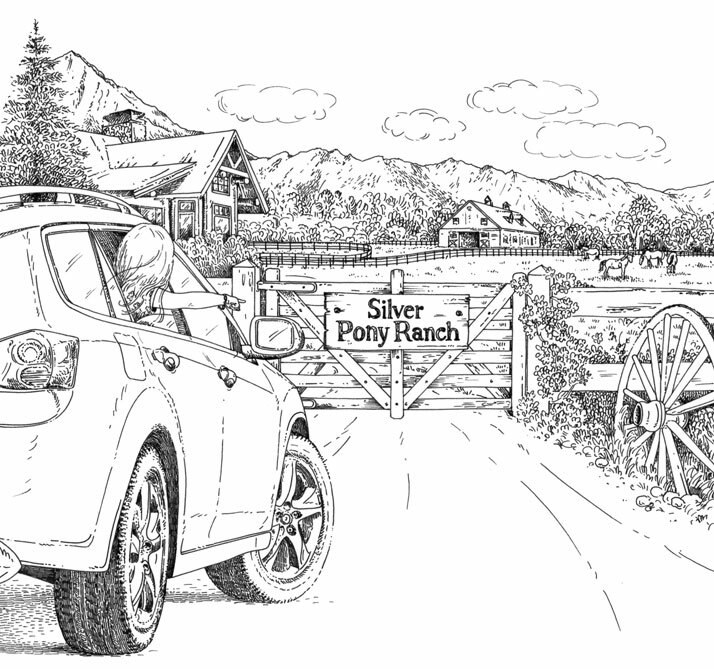 Description: Silver Pony Ranch is full of ponies, puppies and adventure! This series is part of Scholastic’s early chapter book line called Branches, which is aimed at newly independent readers. With easy-to-read text, high-interest content, fast-paced plots, and illustrations on every page, these books will boost reading confidence and stamina. Branches books help readers grow! 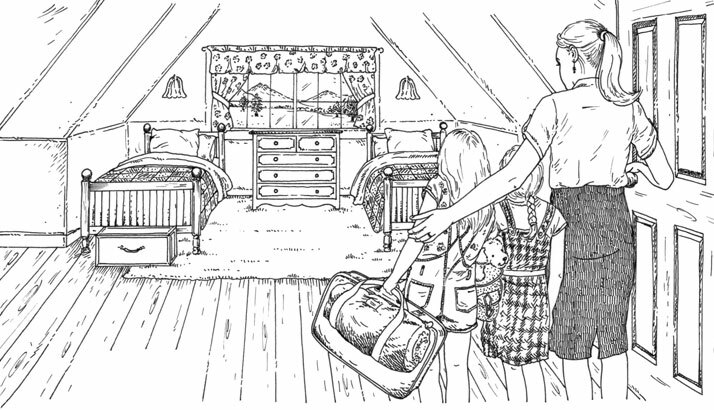 Tori is super-excited to spend the summer at Gran’s ranch–where there are lots of beautiful ponies! 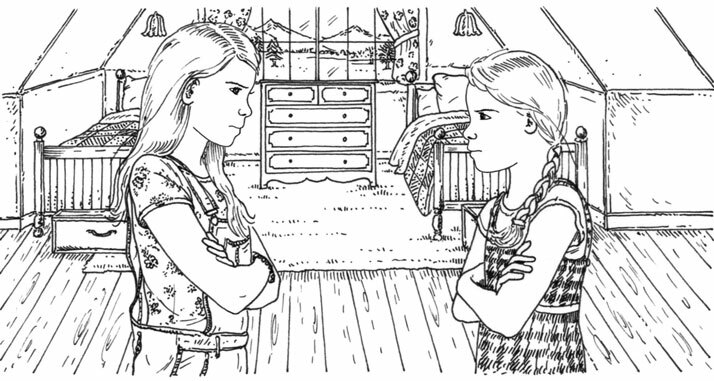 But she is NOT excited to share a room with her younger sister, Miranda. Miranda likes everything pink, and she loves puppies. Tori does not like pink, and she loves ponies. Tori soon falls in love with a rowdy pony named Jewel and she wants to ride her. But Gran says that Jewel is TOO rowdy. Will Tori and Jewel ever get to ride together? 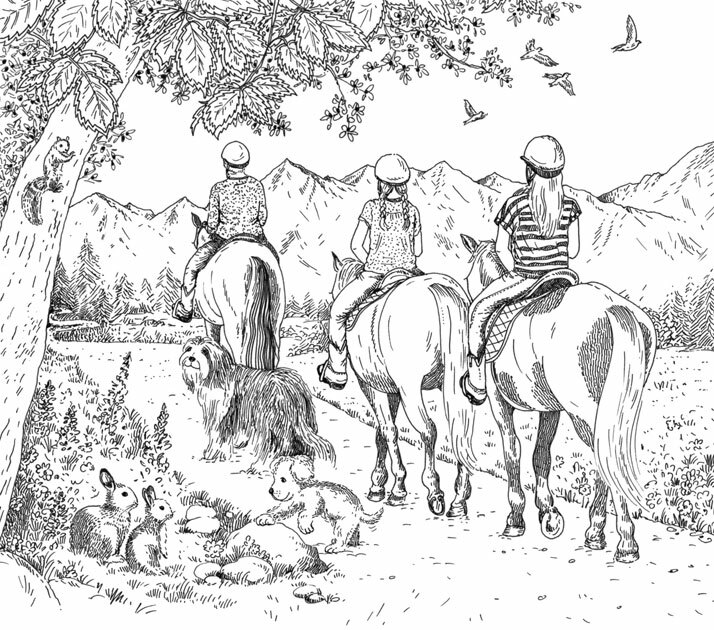 And when one of the ranch’s puppies goes missing, can Miranda and Tori find the puppy and bring him back home? 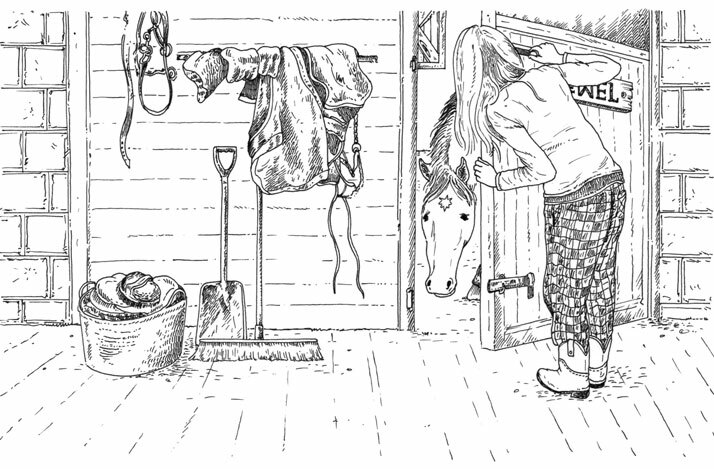 This entry was posted in Latest work, News and tagged Branches, Children's Book Illustration, emily wallis, Girls, Horse drawing, horse painting, horses, Illustration, line drawing, Ponies, Puppies, Scholastic, Silver Pony Ranch, Sparkling Jewel. Bookmark the permalink. Follow any comments here with the RSS feed for this post. Comments are closed, but you can leave a trackback: Trackback URL.